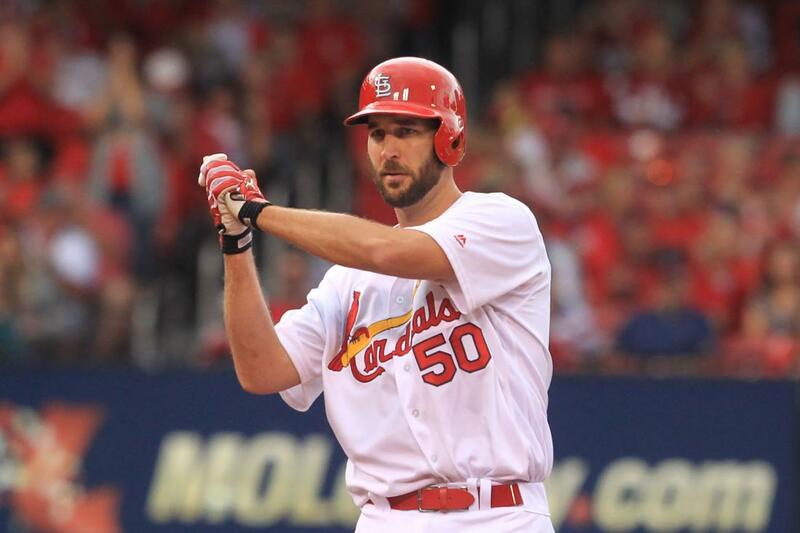 Before I started this post, I watched a montage of Adam Wainwright’s postseason highlights. The last two years have, in some ways, tainted a phenomenal career — a career that landed him seventh on this list, slotted nicely between Hall of Famer’s Dizzy Dean and Joe Medwick. Wainwright’s postseason credentials are both numerous and impressive. Most famously, he closed out the 2006 NLCS with a curveball that froze his future teammate Carlos Beltran. The at-bat started with Mike Shannon noting that “Beltran has murdered Cardinals pitching over the last two postseasons,” but ended with a strikeout and the most famous pitch of Wainwright’s career. Less than two weeks later, he struck out Brandon Inge on a slider and joined Ted Wilks, Bob Gibson, and Bruce Sutter as the only Cardinals pitchers to close out a World Series with a strikeout. Fast forward to 2009. He made one start in what ended up being a three-game sweep at the hands of the Los Angeles Dodgers. That start, while overshadowed by a misplay by Matt Holliday in left and a blown save by Ryan Franklin, was dominant. On the road at Dodger Stadium, Waino went eight innings, only allowed one earned run, struck out seven, and outdueled Clayton Kershaw, who he never could overcome in the Cy Young voting. After missing the championship season of 2011, Wainwright returned in 2012 and was impactful in the postseason despite racking up over 198 innings in his first year back from Tommy John. His worst start of that postseason resulted in the Cardinals coming back from a 6-0 deficit in Game 5 of the NLDS against the Nationals. However, an often overlooked start came in Game 4 of the NLCS. Wainwright went seven innings and gave up one run, and pitched the Cardinals to a 3-1 series lead that they would eventually, and painfully, blow. In 2013 he won Game 1 of the NLDS against the Pirates, and clinched the series with a complete-game effort in Game 5, much like his mentor, Chris Carpenter did two years earlier. After losing his only start of the NLCS and Game 1 of the World Series, Wainwright took the ball in the pivotal Game 5 of the World Series, with the series tied 2-2. Wainwright pitched well enough to win in that game, going seven innings and allowing three runs, but was outdueled by Jon Lester. The following year, in an elimination game against Giants (the Michael Wacha fiasco) Wainwright exited after seven innings and the Cardinals leading 3-2. He outpitched Madison Bumgarner. I take the time to catalog Wainwright’s postseason success because I think it’s been forgotten or diminished over the years. Sure, he had his clunkers in there. Game 5 of the 2012 NLDS, Game 1 of the 2013 World Series, and Game 1 of the 2014 NLCS come to mind. Funny thing is, the Cardinals still managed to win two of those three games. It’s unfair to skip over Wainwrights outstanding regular season performances. He should have won the Cy Young in 2009, finished second to Roy Halladay in 2010 and Clayton Kershaw in 2013 and third to Kershaw in 2014. He led the league in innings pitched twice, won 20 games twice and 19 games twice, all while never topping 92 miles per hour with his fastball. Off the field, Wainwright has been nearly universally lauded as one of the truly great people in the game of baseball or sports generally. His charity, Big League Impact, has raised money for the less fortunate across the globe using fantasy football, March Madness brackets, or similar sports-themed fundraisers. While this ranking doesn’t take off the field character or contributions into account, I don’t think an accurate portrait of Adam Wainwright could be painted without at least mentioning his character. Heading into a season in which many Cardinals fans are bracing for the worst, an Adam Wainwright revival is something I, personally, would enjoy the most. I’m not the only one either. Watching Adam Wainwright dazzle me again for however brief a time is basically my number one hope heading into this season. Regardless of Wainwright’s performance in 2018, let’s understand and appreciate that we are watching one of the greatest Cardinals to wear the Birds on the Bat, a surefire Cardinals Hall of Famer, and postseason hero. Update: In the final year of his contract, Wainwright has battled with elbow trouble, finding himself on the 60-Day DL in early May. He holds, and Cardinals fans, hope for a cameo in September to allow for a proper (likely) farewell to one of the best to don the uniform. Thanks for reading. Check back tomorrow for number six on the list.